When you are constantly walking on concrete and asphalt, you are bound to suffer from various aches and pains. However, it doesn’t mean that you have live with constant and chronic agony. The joint pain that you are experiencing can be eliminated if you seek out the right equipment. It can also help reduce the risk of injuries in the feet, legs and back. Your body was designed to walk on surfaces that much more forgiving than what we walk on in today’s day and age. On average, you will walk about 8,000 steps on extremely hard surfaces. This leads to excessive impact on your heel all the way through your legs and to the spine. This speeds up the overall wear nad tear on the joints in these parts of your body. To help handle the additional stress, you need the proper footwear. That’s where Z-Coil footwear comes in, as these shoes are designed to reduce excessive impact by as much as 60 percent with every single step that you take. By minimizing and sometimes even eliminating jarring movements, Z-Coil footwear can provide you with pain relief immediately. Z-Coil shoes helps with long-term efforts in pain relief by reducing impact and offering a built-in orthotic that offers rigid support to the middle of the foot. Plus, these shoes can be customized to help with supination, over-pronation and other abnormal gaits. Since this helps to keep your ligaments and joints in natural alignment, this helps speed up the process of natural healing and prevent new injuries. 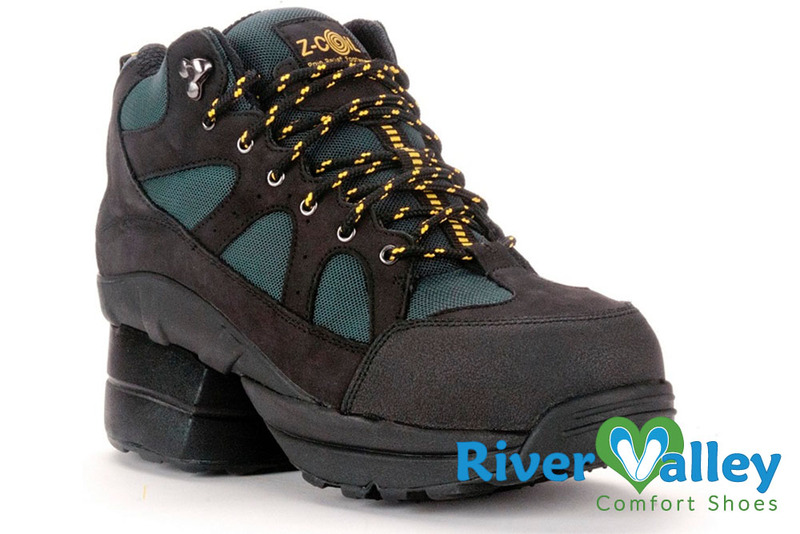 If you have been dealing with lower body joint pain, it may be time to consider Z-Coil shoes. Come speak to us at River Valley Comfort Shoes to learn more about these particular types of shoes and how they can benefit you.